The bees have been busy in California, working on pollinating the flowers. Are you letting all their hard work go to waste? 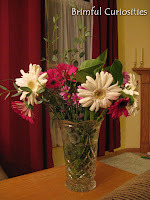 If you are like me, it has probably been awhile since you received a bouquet of cut flowers. In the beginning of our marriage money was especially tight, and I made a big mistake by telling my husband that it wasn't always necessary to buy me flowers. Well, he took that comment to heart and I never received another bouquet until I casually mentioned that I do love flowers and it might be nice to get them as a gift occasionally! Geez, leave it to men! Yes, it seems they need a hint once and awhile. 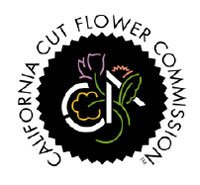 The California Cut Flower Commission (CCFC) will debut special "Hint Cards" at retailers and florists later this year. Hint Cards are designed to help women drop a hint to that certain someone that they would like to receive a beautiful bouquet of the world’s freshest flowers, California Grown flowers! Did you know that California growers account for 75 percent of all domestically grown cut flowers in the United States? Last week I received a whole bouquet of vibrant flowers from the CCFC. I must say it has been quite refreshing to have a bouquet of flowers in the home. Just makes me happy. Makes me want more. I plan on placing the little hint cards in strategic locations, like attached to my husband's cell phone or inside his laptop. That should do it. By the way, you can always take a hint yourself and buy a few flowers just because you care for a friend that needs cheering or an elderly relative. Sometimes it is nice to perform a random act of kindness. 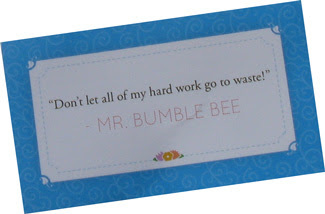 Don't let the bees' work go to waste! 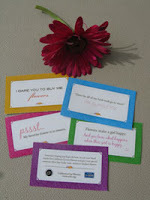 To enter, leave a comment addressing the following question: What is your favorite flower? • Contest ends whenever 25 comments are reached. Thanks to Family Review Network and California Cut Flower Commission for this review opportunity! The hint cards are genius. I would choose tulips as well! What a great idea~! Gotta show men the ropes somehow. My favorite flowers are black eyed susans and a close second are grape hyacinths. I love when I can look outside into my gardens and see all the flowers that are blooming! Oh gosh, I don't even know what my favorite flower is...daises and tulips are nice. Anything really! Peonies are my absolute favorite, I adore them! My favorite flower is the daffodil. When I lived up north I knew spring was around the corner when I saw them start to push up from the ground. I have 3 favorites but i will say tulips! Grape Hyacinth are one of my favorites but so are Snapdragons. My favorite flower (of the moment) is Daiseys--I think I spelled it correctly but it looks wrong, lol! My favorite flower is the daffodil! Oh my goodness, it's hard to pick just one favorite flower, but I would have to go with a lilac . . . if that counts, since it's sort of a bushy-thingy (yes, that is the technical term!). If not, then I'd go with a tulip.